Regina's Elite Massage Therapy Clinic is owned and operated by Registered Massage Therapist, RMT Graham Bell. Your Regina registered massage therapist at Elite Massage Therapy provides deep tissue massage, advanced therapeutic, pregnancy massage, active release and relaxation massage techniques. Elite Massage Therapy in Regina is open most evenings, days and mornings Monday to Saturday. Your massage treatment will be customized to meet your specific needs to get the best massage at Elite Massage Therapy. If deemed helpful, yoga poses, stretches, strength exercises, hot or cold therapy, feldenkrais exercises and other self-administered pain management techniques are recommended for your at home rehabilitation. Elite Massage Therapy Regina caters to clients of all ages including children, adults and seniors in a safe relaxing environment. Our Regina services include a variety of massage techniques and body work modalities to relieve the pain and stress of day to day living, or aid in the rehabilitation of various physical injuries. Direct billing for massage in Regina is available at Elite Massage Therapy for clients with benefit plans through Great West Life, Chambers of Commerce, Manulife Financial, Sun Life Financial, Desjardins, Industrial Alliance, Johnson, Great-West Life, Maximum Benefit or Johnston Group and Standard Life. A pregnancy table is available. 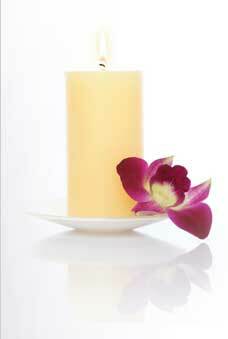 Regina's Elite Massage Therapy clinic offers the best service and care to it's clients. Friendly and knowledgeable, care and professionalism is administered to all aspects of your treatment. By incorporating a variety of assessment and treatment techniques it is my job and responsibility to help you anyway I can and if necessary refer you to other professionals in the medical community. Elite Massage Therapy is dedicated to improving the general well-being of all clients. Book a massage treatment online with Elite Massage Therapy in Regina today!